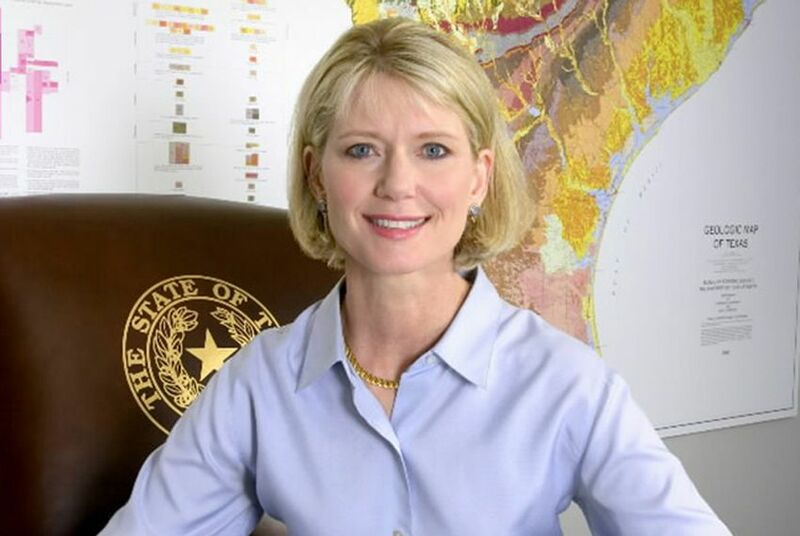 Railroad Commission Chairwoman Elizabeth Ames Jones will end her campaign for the U.S. Senate to run instead for the Texas Senate against incumbent Jeff Wentworth, R-San Antonio. Updated, Monday, 3:40 p.m.: Elizabeth Ames Jones is definitely getting into the state race and out of the federal race, she said in a press release this afternoon. And Jeff Wentworth responded by welcoming her into the race, challenging her to give back all of the money she raised for the federal race, and urging her to release the results of internal polling she did (he contends her San Antonio numbers in her own poll were poor). Wentworth also unleashed a list of supporters that includes House Speaker Joe Straus, who succeeded Ames Jones in the House. Her relatively late entry gave him time to lock down endorsements from U.S. Reps. Lamar Smith and Francisco "Quico" Canseco, both of San Antonio, and state Reps. Lyle Larson of San Antonio, Doug Miller of New Braunfels, John Kuempel of Seguin and Paul Workman of Austin. Original story: Elizabeth Ames Jones, who left the Legislature for a spot on the Texas Railroad Commission, will reportedly get out of the U.S. Senate race to run instead for the Texas Senate against incumbent Jeff Wentworth, R-San Antonio. Ames Jones and Wentworth could not be immediately contacted Monday morning; the switch was first reported on the blog of Robert Miller, a Houston lobbyist and lawyer who writes regularly about state politics. Wentworth, an iconoclastic senator who doesn't always vote the party line, has drawn only token opposition so far this year, but a serious challenge isn't a surprise. His opponents have been trying to recruit challengers since before the end of the legislative session. Dr. Donna Campbell, a Republican who previously ran for Congress from Columbus, recently moved to New Braunfels to challenge him. Wentworth, an attorney and former Bexar County commissioner, served in the state House from 1988 to 1993 and has been in the Senate since then. Ames Jones, also a Republican, has failed to get any traction as a candidate for U.S. Senate, either in terms of public or financial support. She closed September with $304,067 in the bank, while three of her opponents — Lt. Gov. David Dewhurst, former Dallas Mayor Tom Leppert and former Solicitor General Ted Cruz — each had millions on hand. And in the latest University of Texas/Texas Tribune poll, Ames Jones had the support of only 2 percent of Republican primary voters. One option for Ames Jones might been simply to remain on the Railroad Commission, but her foray into the Senate race triggered a rush for her job that attracted three serious Republican candidates: state Rep. Warren Chisum, R-Pampa; Houston attorney Roland Sledge; and Christi Craddick, a political operative and lawyer and the daughter of former Texas House Speaker Tom Craddick, R-Midland. Ames Jones is the third high-profile candidate to drop out of the race to succeed U.S. Sen. Kay Bailey Hutchison. Former Railroad Commissioner Michael Williams and former Texas Secretary of State Roger Williams — no relation — each quit to run for the U.S. House earlier this year.